Obituary for John R. Shipley | Shore Point Funeral Home and Cremation Services, Inc.
John R. Shipley, 74, fondly known as “Jack” of Union Beach, New Jersey, passed away at Bayshore Community Hospital, in Holmdel, New Jersey on Wednesday, October 17, 2018. Jack was born on October 8, 1944 in Jersey City, New Jersey and was raised in Keansburg, New Jersey. In 1969, he and his beloved wife of 50 years, Terry, settled in Union Beach, New Jersey. Before retirement, he worked for General Motors as a Line Assembler for many years. He also worked part-time for 30 years for Kar Parts. He was predeceased by his parents, Anna M. (Cannon) and George H. Shipley. Jack is survived by his beloved wife, Terry (Trembley) Shipley, his loving children, Jackie Shipley and her partner, James Hennessy of Hazlet, New Jersey, and John E. Shipley and his wife, Patty, of Union Beach, New Jersey, his dear siblings, Margaret Gallagher of Keansburg, and George Shipley and his wife Annie of Louisiana, and his cherished grandchildren, Sam, Matthew and Jason Shipley. Jack will be deeply missed, but never forgotten. Family and friends are invited to visit on Friday evening, October 19, 2018 from 5:00 PM to 9:00 PM, and Saturday morning, October 20, 2018 from 9:45 AM to 10:30 AM at the Shore Point Funeral Home and Cremation Services, Inc., 3269 State Highway/Route 35 North, Hazlet, New Jersey 07730. A prayer service will be offered on Saturday morning, October 20, 2018 at the funeral home. Entombment will follow at Holmdel Cemetery Mausoleum, 900 Holmdel Road, Holmdel, New Jersey 07733. 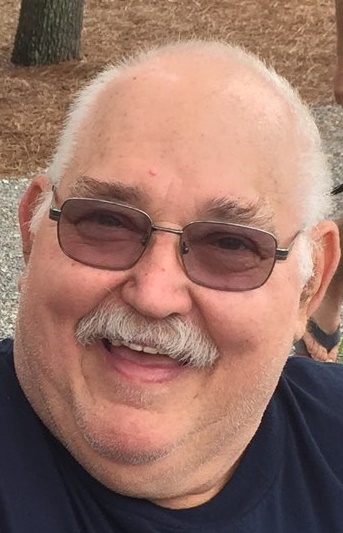 In lieu of flowers, donations may be made “In Jack’s Memory” to the Grace United Methodist Church, 115 St. James Avenue, Union Beach, New Jersey 07735. For information, directions, or to send condolences to the family, please visit, www.shorepointfh.com.